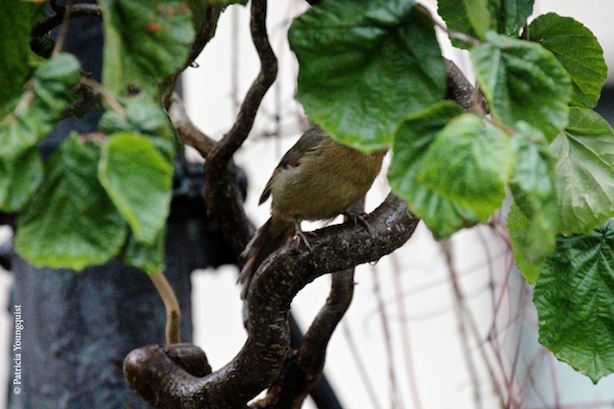 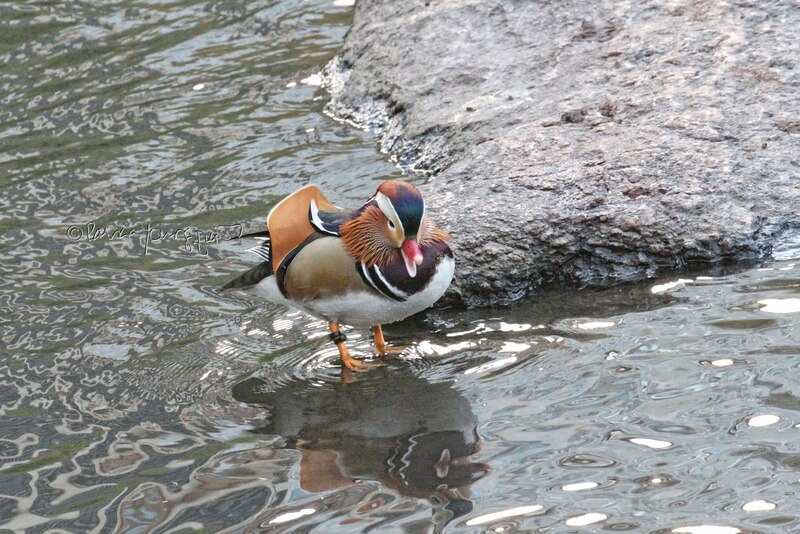 Be that as it may, in spite of my psychological issues with prolonged absences and abandonment, I mostly try and focus on how thankful I am to have birds in my garden! 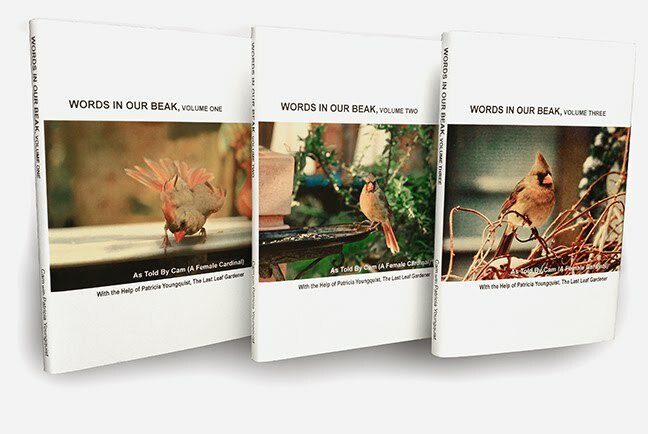 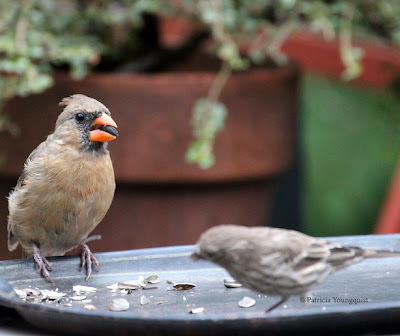 And since today is Friday, a day often associated with "TGIF," my birds agreed that they would also share the things that they are thankful for and did so by posting captions under images I took of them and that are posted below. 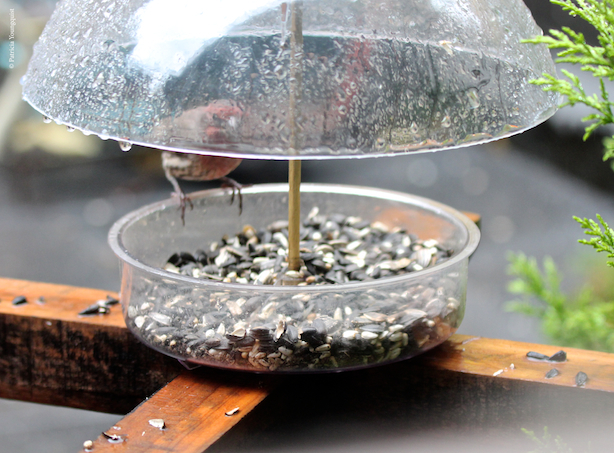 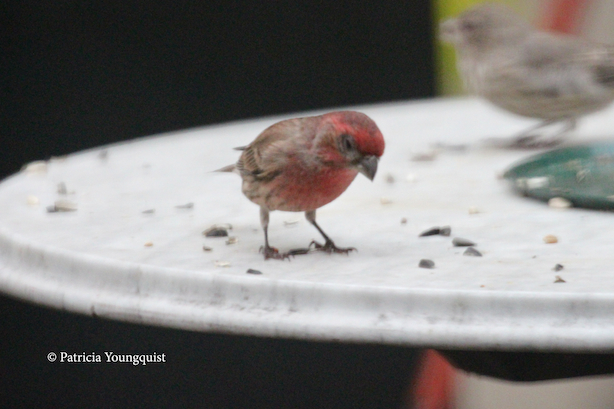 Red House Finch (Male): TG My food doesn't get soggy in the rain! 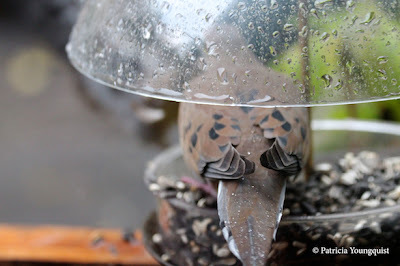 Mourning Dove: TG for some time to myself! 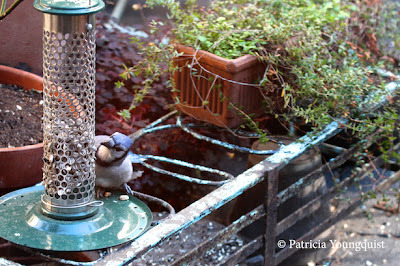 Blue Jay: TG I read the instruction manual re this feeder! 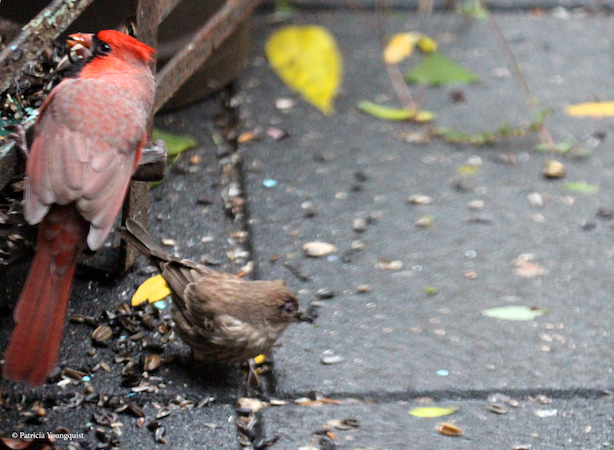 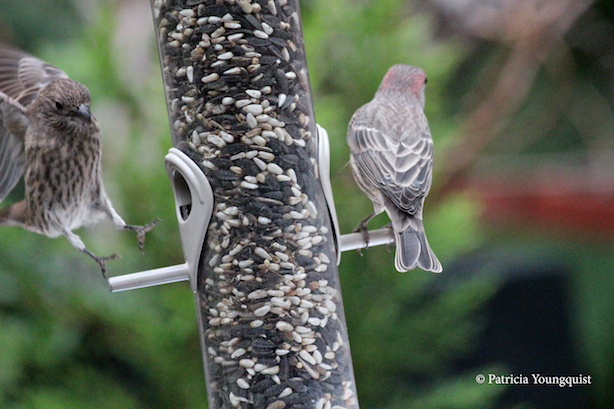 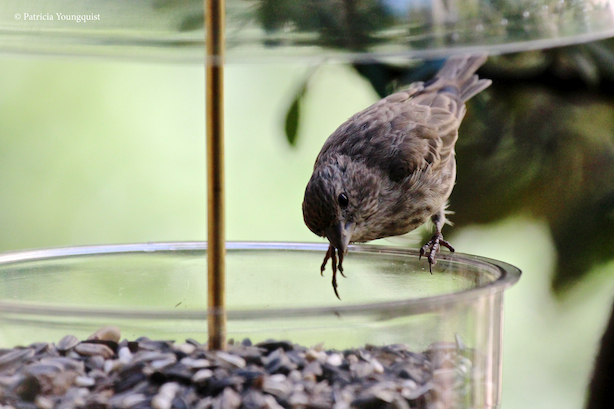 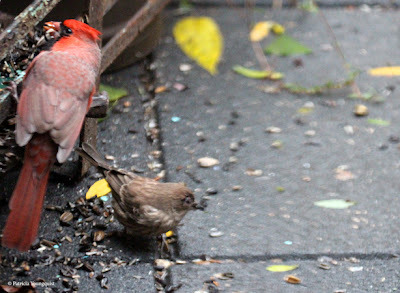 Red House Finch (Male): TG — "Other Birds" Spill Seeds! 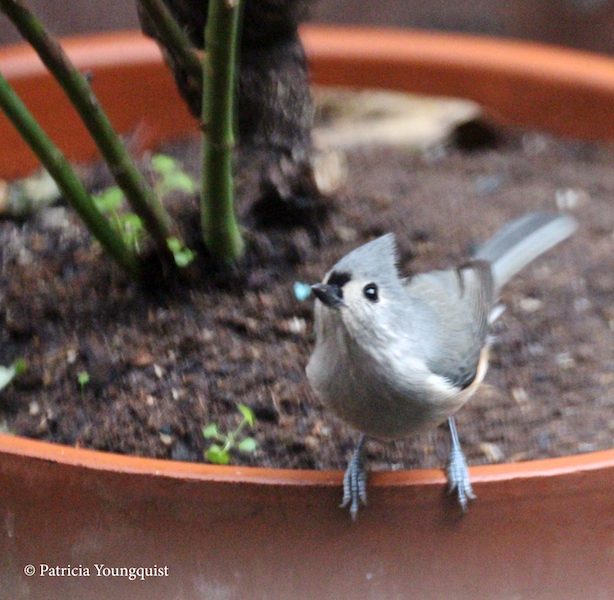 Tufted Titmouse: TG — A "Container" Where I Can Stretch my Aching Blue Feet! 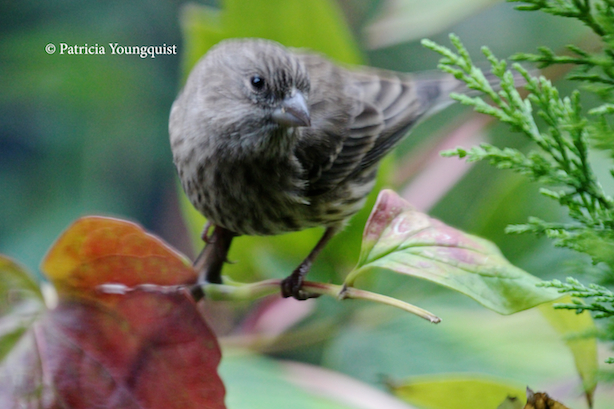 Female House Finch: TG — For Beautiful Lemon-Lime Cypress Branches! 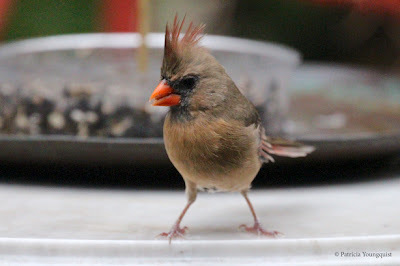 Cam (My Lone Female Cardinal): TG Leaves to Hide Behind! 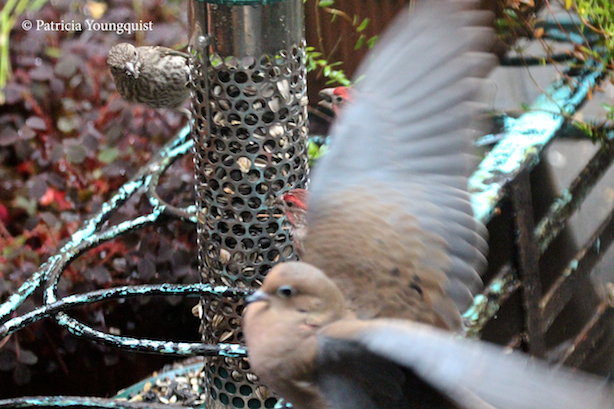 Mourning Dove (Lower Right): TG I got a BIG seed before you know who arrived! 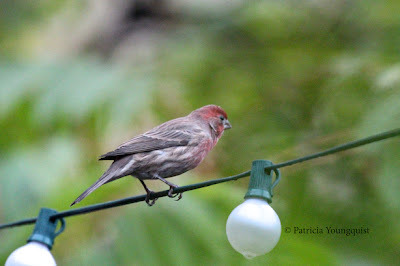 Red House Finch (Male) : TG I don't have to change these light bulbs! Female House Finch: TG I was only running a little late! 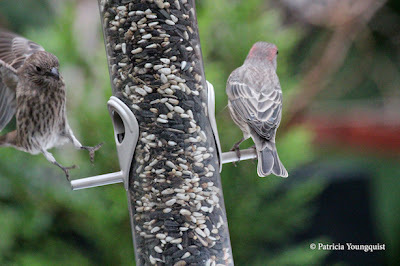 Cam (Lone Female Cardinal): TG At Least Litle Finch Listens To Me! 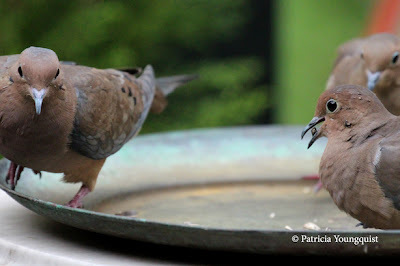 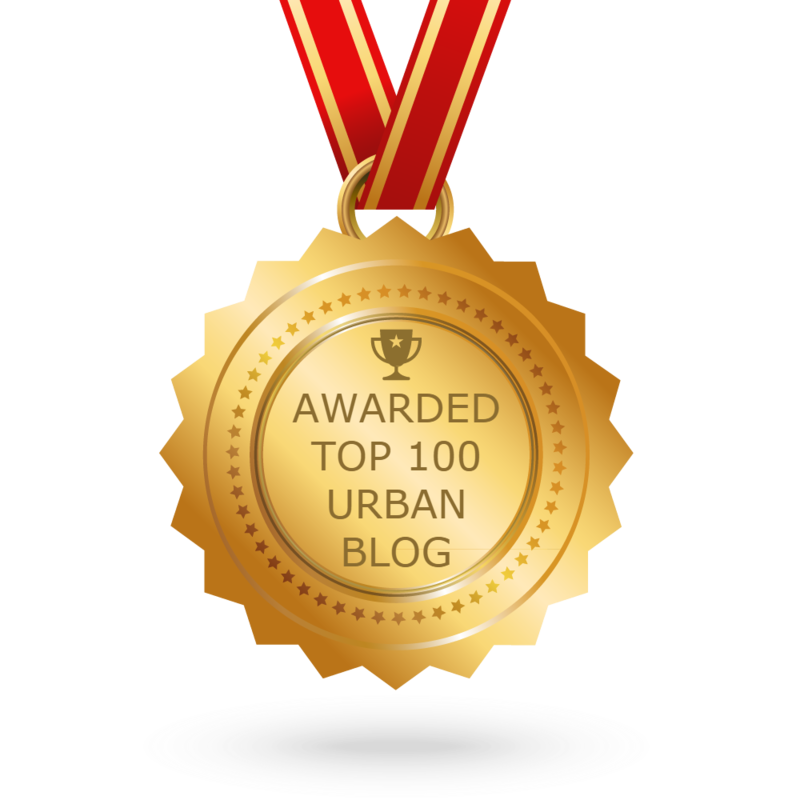 Mourning Dove: TG For My Wings! Dark-eyed Junco: TG for crumbs that fall to the floor! 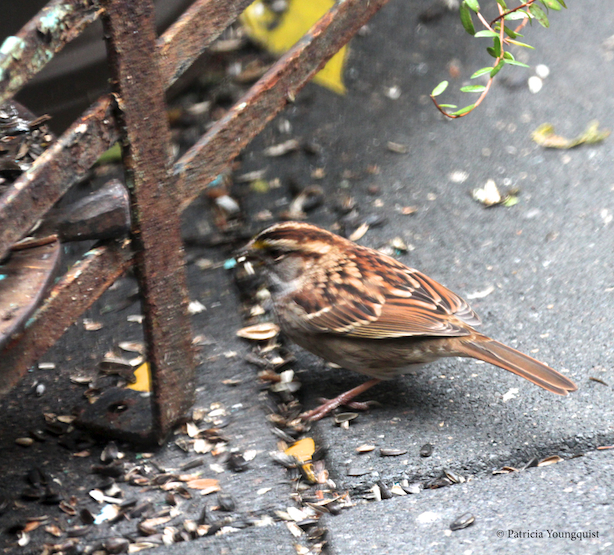 White-throated Sparrrow: TG for crumbs that fall to the floor! Male Cardinal (Cam's beau? 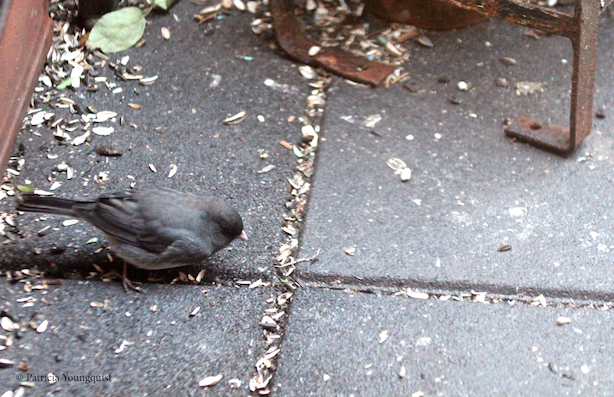 ): TG for crumbs that fall to the floor! 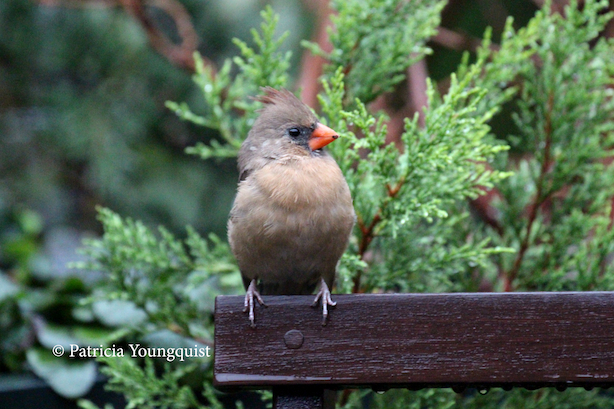 Cam (Lone Female Cardinal): TG I'm free to think my thoughts! My visiting birds hope you enjoyed seeing our various reasons to be thankful and we have much more we could include and perhaps we will at some other point in time, but for now we will leave you with these selections and a wish that you and yours find much to be thankful for, especially as the holiday seasons approach!